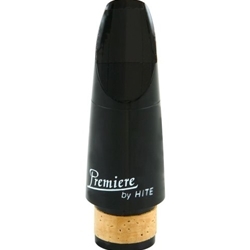 Produced in one medium preferred facing, the Premiere clarinet mouthpiece line is hand-finished to the highest professional standards. The acoustically efficient design results in a pleasant, resonant sound produced without excessive physical effort. The medium facing is well suited to a Vandoren No. 3 (or comparable) reed.